Natural or chemical base beauty products – Choice is yours! From the time you get up till you sleep, your fingers switch from one beauty product to other. Be it shampoo, cream, lotions, body butters soaps etc. These beauty products are not a modern invention. The history lasts back to 10,000 years, the time when Kohl was used in Ancient Egypt to accentuate the features and face appearances. The beauty “Cleopatra” used to bathe in milk to soften and whiten her skin. But in ancient era all these recipes were natural but what now? According to a poll conducted by Huffington and Yougov in 2013, 50-60% of women admitted using at least one beauty product a day. On an average these beauty products/ cosmetics contain more than 13,000 chemicals and out of it, 168 of them are used by women daily. Aren’t these numbers shocking? They are definitely scary for me! They made me think what I am doing to myself. Are these chemicals base beauty products dangerous? The regular beauty products available in market, contain chemicals like Parabenes, formaldehydes, aluminium, Triclosan, Phthalates, Lead, nickel, cobalt cadmium etc. These chemicals are multi functional and are used in manufacturing, production, cosmetic industries. In cosmetic industry, quantity as well as quality of ingredients in product matters. When used in appropriate amounts they act as anti microbial, heal gingivitis, inflammation etc. But when in excess can disrupts hormonal balance, impairs muscle contractions, imparts birth defects, cause cancer, and reduce bacterial resistances. A lay man cannot understand the quantities mentioned on the products nor he is clear with the recommended amounts. So, how to decide? The only options are either by gaining the complete knowledge of what is what or by switching to complete natural beauty products. Natural beauty products are those which contain ingredients directly derived from plants or minerals, with minimum or no processing. Eco friendly –The manufacturing of chemical based products puts those chemicals and by products into air and water, causing air and water pollution whereas natural products involve less processing and hence less pollution. Rid from Chemicals & Skin Allergies – The chemicals, artificial colors in these readily available products can lead to skin itching, burning, allergies, redness etc whereas natural beauty product in favor of your skin rather than against it. Protect nose from fragrances– Majority of people buy beauty product only after smelling them, similar to the way people eat with eyes before ordering food. While smelling these chemical and artificial fragrances not only go into nose but also lungs and your body. These toxic chemicals and fragrances can have severe effects on body. 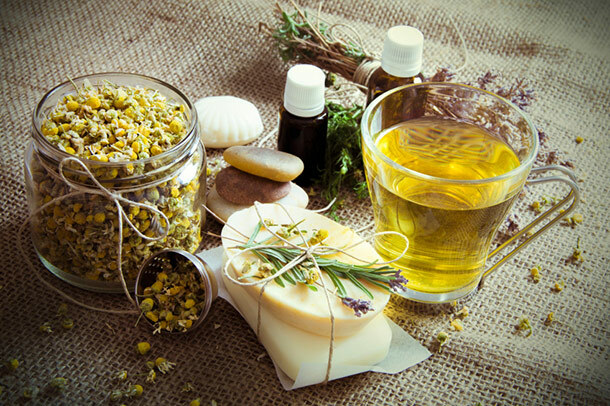 Whereas natural beauty products contain essential oils and perhaps they are one of the best natural perfumes in the world and the most concentrated in terms of aroma. So at last, I will ask question – why are you worried only about food, whether it is organic or not. What about your skin? Are your daily care products natural or chemical base? Choice is completely yours to continue with these chemical based products or switch to the natural alternates. Take an action before it’s too late. I do more chemical based products. I rarely go for organic stuff, I suppose I was just brought up that way. If there’s one thing natural I’m on right now, it’s castor oil for my hair and skin!!!!! And it’s working wonderfully! Thats why I use LUSH which is my absolute favorite thing to use on my face! I swear that the chemicals cause more break outs and make you need more things. Glad someone can address this issue! I am glad market is filled with such products. I try to choose natural products, I was always convinced that it’s much better for skin (face, body), hair,… ! Totally agree with you and I am all for going with the natural products Vs chemicals too! I so wish that the cosmetics industry revolutionized the way they make some of these chemical products though.